The country of Bulgaria is situated between Romania and Turkey in Southeastern Europe, bordering the Black Sea. This small country has one of the richest folk heritages worldwide. Bulgaria is home to Plovdiv, the 6th oldest city in the world, dating back thousands of years. Sofia, the capitol of Bulgaria, is the second oldest city in Europe. Due to its rich history, scenic landscapes, and numerous museums and restaurants, Bulgaria is a popular destination for many tourists. Bulgaria is party to the Hague Convention on Protection of Children and Co-operation in Respect of Intercountry Adoption (Hague Adoption Convention). Therefore, all intercountry adoptions between Bulgaria and the United States must meet the requirements of the Convention and U.S. law implementing the Convention. Bulgaria adoptions are conducted through a collaborative effort of a Hague accredited adoption agency in the US and by the Bulgarian Central Adoption Authority (Ministry of Justice). Children over age 7, Sibling groups of older children, and children with special needs are readily available. Adoptive parents should be at least 15 years older than the child they are adopting and there are no upper age restrictions, although Nightlight in general considers it best that there be no more than 45 years between you, the parents, and your child. This requirement can be more flexible with families adopting school-age children and children with special needs. Bulgaria also has no restrictions on family size, making it a great option for larger families. Married heterosexual couples and single women are accepted into the program. Dossier sent to Bulgaria, where it is translated and legalized and then submitted the Ministry of Justice. File the I-800 form that includes the child’s information with Immigration here in the United States. Immigration will forward the approval to the Consular section of the U.S. Embassy in Sophia, Bulgaria. The attorney will pick up Article 5 from the U.S. Embassy and take it to the Ministry of Justice in Sophia. The attorney sets up a court hearing, which the attorney will attend on behalf of the family. The court will issue an adoption decree. Once the court hearing takes place, the attorney will electronically submit the DS-260 with Immigration. You receive a referral of a child from Nightlight Christian Adoptions through the Bulgarian Ministry of Justice. The referral will include a brief social history of the child, and the current health and development of the child. We highly recommend that you have this information reviewed by a doctor who specializes in international adoption before you make a decision. Once you decide to accept a referral, you will be considered “matched” with the child. You coordinate travel dates with Nightlight and will travel to Bulgaria within two months of accepting your referral. Both parents are required to travel in this initial trip. During your trip, you will visit your child for 5 business days getting to know your child and begin bonding with him or her. During these daily bonding visits, a social worker will observe your interactions with the child and prepare a recommendation for the court. At the end of your bonding trip, you will meet with our attorney sign the official referral acceptance and the power of attorney to be represented at the court hearing. The court hearing is usually scheduled 6-8 weeks after your 1st trip, depending on how quickly the necessary document on the child are obtained and how quickly you complete and file your I-800 form with USCIS. 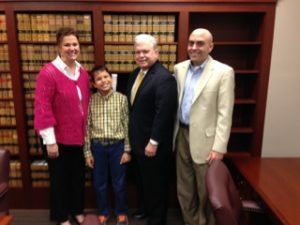 After the court hearing, the adoption becomes final and the adoption decree is issued 7 days later. Once you receive the court decree, the attorney will obtain a new birth certificate and schedule appointment for your child’s passport, medical exam, and visa. Once the appointments are set, you will be provided travel dates to come and pick up your child and. Only one parent may travel on the second trip, which will take 10 days. While in Bulgaria, you will take your child to apply for a passport, take your child to get evaluated at the medical clinic approved by the Embassy, and visit the US Embassy in Sofia to obtain your child’s visa. Within 30 days of your arrival home, you must have a home visit by your home study provider. Your home study provider will prepare post-adoption reports and submit them to Nightlight at 6 months, 12 months, 18 months, and 24 months after the adoption is finalized. These reports include your child’s developmental progress and pictures. 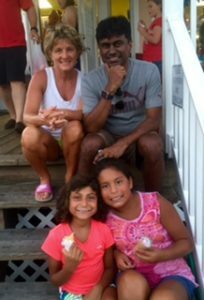 This is a very serious commitment; Nightlight is committed to showing the Bulgarian Adoption Committee and birth families that children adopted by US citizens are healthy and well cared for. Compliance with post adoption reports is also required by the Hague Convention. Therefore, Nightlight charges a fee to monitor and process these post placement reports and also requires families to pay for the cost of the post placement report in advance. The program fee for Bulgaria is $24,500. Additional estimated expenses of $10,020 – 13,820 will bring the total cost to approximately $34,520 – $38,320. In addition, your out-of-pocket expenses may further be reduced if you receive scholarships or other employer-provided adoption benefits. For additional fee information, please see Exhibit A. Please contact Liana Stoddart, Liana@Nightlight.org (970) 663-6799, with any questions. To learn more about our Bulgaria Adoption Program, you may contact us, call our Colorado office (located in Loveland, CO) at (970) 663-6799, or directly email our Bulgaria coordinator, Liana Stoddart, at liana@nightlight.org. Referral time will be an estimated 1 to 5 years depending on the family’s openness to age, gender, and special needs. Bulgaria is an excellent program for families open to adopting older children. Learn more about adopting an older child HERE. Families that have adopted through the Bulgaria Adoption Program. Ava, Age 7. Arrived home on 12/16/2015.